Style #048:Lovely Gibeon Meteorite Engagement Ring with beautiful Widmanstatten pattern. This lovely ring is lined in 18k Palladium White Gold. 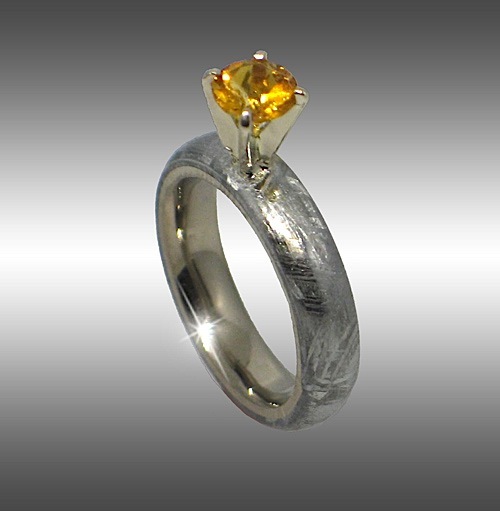 Set with a beautiful 5mm natural Citrine, this would make a unique engagement ring. Also available in 18k yellow gold, rose gold, or platinum. When enquiring for current pricing please specify size, width, type of lining, and stone. Please enquire for current pricing! !